All of us have been influenced for better or worse by those who have come across our paths in the past. I started to think about those who have impacted my own walk the most and came up with a list of ten people in the public eye who have played significant roles in my development thus far. This list probably covers about a 12-13 year period of time and sort of runs chronologically as well. Apart from the Book of Life, it’s unlikely that these ten names would feature in any other book or article together. In my early days as a Christian I was surrounded by luke warmness. Basically as long as you didn't swear, watch x-rated movies or listen to bands that screamed and you did go to church every Sunday, then you were doing okay. So think what you want about Kent Hovind or Creationists in general, his 7 part DVD series really hooked me when I first watched it. The bible moved from ancient text to interesting and alive and I began to study it obsessively. I learnt a lot of good and bad things from my time in fundamentalism. Mostly, I learnt how to be right doctrinally and be a jerk about it at the same time. But like Kent used to say, "Chew the meat and spit out the bones". I don’t think that there is a scientific principle that proves that the loudness of ones ranting and raving is directly proportional to the amount of truth being preached. But I do think that there is a time and place for those kinds of messages. And it was around the time when I was growing despondent with bumper sticker Christianity that I came across Paul Washers “shocking youth message”. While I never was a fan of the Calvinistic leanings of most fire and brimstone preachers. I found comfort in a message that took God seriously and was less concerned with our desires and self esteem than it was with picking up ones cross and following Christ. Tozer made an incredible contribution to the 21st century church. His book “The Pursuit of God” is a must read for all believers. And you can pick it up for next to nothing these days. He had an incredible prophetic gift as well and saw exactly where the Western church was heading. Reading his works today it feels like they were written to the modern church in modern times. Watchman Nee had extraordinary insights into scripture, so many of the guys today who are teaching “deep things” are merely repeating what they learnt from Nee’s works. For example, much of what the house church movement guys are writing about today can be found in his book, “The Normal Christian Church Life”. The similarly titled book “The Normal Christian Life” would be the one title of his I would recommend above all the others. Nee would be the first Christian writer I discovered who, although he never used the terminology, saw a way of interpreting scripture that was neither left, nor right, nor somewhere in the middle but from a third perspective entirely, something like an “upside down Kingdom perspective” I guess you could call it. It reminds me of how Jesus never ever answered anyone’s questions with a simple yes or no. He always flipped it on its head and came up with a parable or counter question revealing something bigger and better. Nee would suffer and die in a communist prison for his faith but he left behind a huge amount of wisdom that still impacts many today. Brother Yun blessed the world with a book about his life in China that is just incredible, it is called "The Heavenly Man" and it’s probably the only book I ever saw in the front window of a Christian book store that was worth reading. 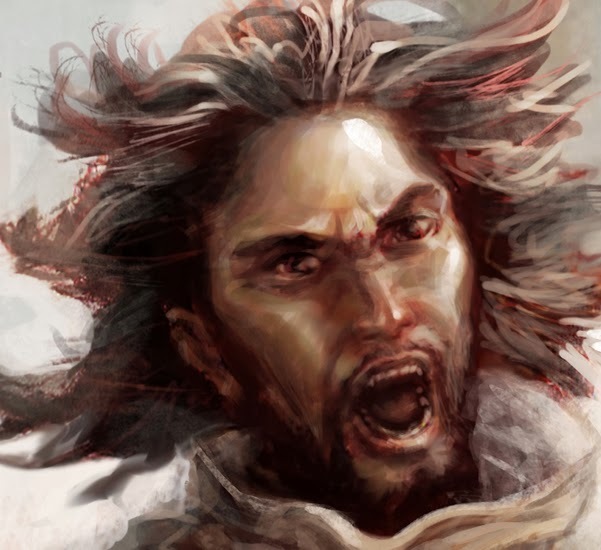 He endured intense persecution and sacrificed more than you would think a poor man has to give. But he also saw God do incredible things. The kind of things that I thought never happened in the real world, things that were so insane that those kinds of miracles were probably only reserved for the bible where God recorded all the really good stuff. Yun helped birth in me a desire for something authentic that went beyond doctrine. The kind of faith that was as evident in its sacrifice and love as it was in its exegesis. Perhaps I should say more than KP, it was Gospel for Asia that impacted me. Missions should be in the hearst of all Christians, not necessarily to go overseas ourselves, but the burden of reaching the lost. Many of the people in the 10/40 window have no education, no money and no hope because they have never heard about Christ. The church is small there, but it is strong, it’s persecuted but it is faithful. It lacks money, bibles and the most basic of human rights but it has Christ and more than the richest churches in the West will ever possess. 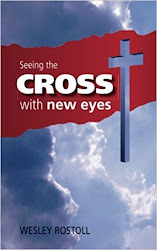 You can pick up a free book (incl free shipping) by KP from the website by clicking here, no catch. Franks book Pagan Christianity (co authored with George Barna) is a hard book to read. It comprehensively exposes every man made tradition ever set up in the church. And while it rightly points out that not everything that is not found in scripture is necessarily anti-biblical. It exposed enough that it caused me to pursue something more biblical, more organic and more, well, belonging to Christ. His book From Eternity to here is another great read as well. I have not been as impressed with some of his latest books though, not that they are bad; they just are not as good. Oh, he also does not profit from his book sales, that money (which is probably a lot) goes toward ministry and the poor. So Frank gets a high five from me on that one! Wayne taught something that in nearly 30 years of growing up in churches I had never before believed. He revealed God the Father as someone who looked exactly like Jesus. Sure I had heard that countless times before but it was always unconvincing because I don’t think the guys sharing it actually believed it themselves. Wayne helped to show me how God loved us, how really deeply and passionately God loved us. He was probably the first guy I listened to who liked talking about the hard scriptures that others would skip over. Through this I learnt that the tough places in the bible that require a bit more wrestling with usually contain the greatest blessings when we unlock them. Wayne also does a great job of exposing the silliness of the religious games we like to play. You can download his book “So you don’t want to go to church anymore” for free here (penned under the name Jake Colsen). I would also recommend downloading this audio series as well. It will melt your face off. I don’t know much about Bob George apart from his book “Classic Christianity”. Coming out of performance driven Christianity where the goal was to attend more meetings than anyone else, pray longer than everyone else, worship harder than everyone else during music time, be involved in as many church ministries as possible and give more money to the church than everyone else. Well, his book allowed me to just sit at the Masters feet once in a while and just enjoy him without feeling bad about it. Grace is a biblical word and so fundamentalists accept it begrudgingly, but are quick to point out that those who dwell on it are probably looking for license to abuse Gods goodness and are almost certainly deceived. I get that there are guys out there who are doing that but grace is one of the most beautiful things about God and no one explains it better than Bob does. The book also emphasizes how death is only half of the gospel message. Life in Christ, the good news, is the part that always gets left out and reveals why so many Christians suffer from burnout, despondency and doubt. Greg is unfortunately written off by many because he believes in open theism or that the future is mostly unwritten in normal language. I love much about him, I love that like Wayne Jacobsen, he likes to wrestle with the hard parts of scripture, I like that he admits that he is still wrestling with things and invites others into the process of discovering things with him. I love that he paints a portrait of God that looks like Jesus, I love that he preaches about the contrasting Kingdoms of the world and God and our relation to them. I love that one does not have to agree with him on everything and have it threaten their relationship as brothers. This sermon series is probably the best thing I listened to in 2013. These ten people all contributed to pivotal moments in my walk. I may not have listened to some of them or read their books/blogs for years but I still appreciate every one of them. I would love to hear what some of the names are on your own lists would be and why you would put them there. … and all the dead shall be raised up with the selfsame bodies, and none other; although with different qualities, which shall be united again to their souls forever. I have saved the traditional view of hell for last, there really does not seem to be much need to describe it here as this view has been almost unquestioned for the last 1600 years. Just like universalism and annihilationism, it can be traced back to before Jesus' time to the intertestamental era. Below is just one example. The totally wicked would burn there forever in torment (Judith xvi. 17). Some to everlasting life,Some to shame and everlasting contempt. Mathew 18:8 “If your hand or foot causes you to sin, cut it off and cast it from you. It is better for you to enter into life lame or maimed, rather than having two hands or two feet, to be cast into the everlasting fire. Of these verses three of them seem pretty clear in particular (Matt 25:41, Rev 14:11, 20:10). There are different interpretations of them out there but nothing that I would say dispels all doubt that the obvious translation is not valid. 1 - Many Christians and non Christians alike question how a loving, gracious and fair God, could create a place like hell and torment people in it for all eternity, especially when their sins were finite. Luke 12:47-48 states that punishment will be proportionate to the sins committed in ones lifetime. Traditionalists respond that God has given us freedom to make our own choices but that those choices have eternal consequences and that God has done and is doing everything possible to save people (all or the elect but that's another story) outside of vacating their free will. 2 - There are issues regarding atonement as well. Traditionalism seems to imply that Christ never dies for sinners but rather suffered pain in their place. Traditionalists respond that the second death referred to in scripture refers to separation from God that occurs after ones physical death (separation from ones body). So the big issue here between the 2 camps boils down to the question, “is the human soul immortal?” In the blog on annihilationism, I covered the scriptures which imply that the soul is not immortal. 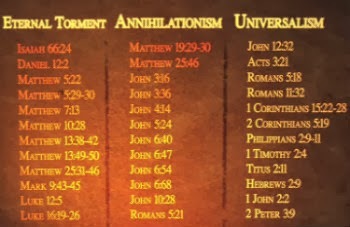 3 - All the death/destruction/perish verses mentioned in the previous post. If we are to simply seek a few verses from scripture to support one of the views on hell we are not going to get anywhere. Neither can we rely on the weight of proof texts supporting one view over another because that would result in us having to draw black lines through several verses, sometimes from the same books and authors who seemingly support our view on hell. I have not tried to prove one position over the others here but rather to highlight that it is not as straightforward as one may previously have assumed it to be. Instead of writing a separate post to conclude this series, I am just going to throw a few points down here from my own personal conclusions. 1 – Hell is real. 2 – Whether it is eternal or temporary in nature, you definitely do not want to go there. 3 - Even if there is the slightest hope of a second chance after death, which I do not think there is, I wouldn't bet my life on chance. 4 – The people discussing these views are all Christ followers. While they cannot all be right, I do not think any of them are looking for a license to live loosely. There does come a time to distance oneself from others who are preaching a different gospel or they are living in unrepentant sin. This is not definitely one of those times. 5 – Hell matters. Our hellology (my word) affects the way we view God and so it is important to look at these things. The cleansing of the temple is often pointed to as an out of character moment for Jesus. Righteous anger is the term that usually comes up and there probably was some of that going on in there. But I would like to take a deeper look into that scene because I think there are a lot of tid-bits that have largely gone unnoticed in the story. So let’s look at some of them. 1 – Jesus didn't lose his cool and suddenly flip out. The common perception is that when Jesus walked into the temple he was suddenly filled with righteous anger and reacted like most of us do when we get cut off in the traffic. But if we rewind to Luke 19:41-44 we see that Jesus was already lamenting before he even entered the temple. 2 – The cleansing of the temple was secondary in light of the bigger picture. There is no reason to believe that Jesus was not cleansing the temple even though the sub headings in our bibles are not part of the original text. The link between John 2:17 and Psalm 69:9 seem to confirm that Jesus was zealous in his actions of driving out the offenders. Nevertheless, Luke 19:41-44 as quoted above reveals the deeper meaning behind Jesus actions. 3- Jesus was acting prophetically. In Luke 19:42 Jesus quotes Jeremiah 7:11 “You have made my Fathers house a den of thieves”. What is interesting about this is that Jeremiah was later commanded by God to break a flask as a symbolic act of the destruction of the temple and Jerusalem (Jeremiah 19:10). Considering that Jesus prophesied just before he walked into the temple that history, as recorded in Jeremiah, would repeat itself, his actions can also be seeing as symbolic in the sense that Jeremiahs were. The text in Mark 11:18 mentions that during this episode, the Pharisees were astonished at his teaching. You would think that it would say that they were astonished at his outburst or something to that effect. This shows that the symbolism was not lost on them. 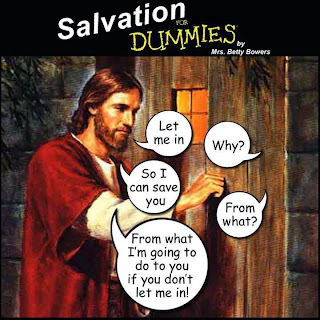 4 – Jesus never came across as physically threatening. Immediately after Jesus' actions, we read that the lame came to him in the temple and he healed them and that the children around him rejoiced (Mathew 21:14-15). The scene that most of us picture would have the children cowering behind their parents legs in fear of the wild man. John 2 states that he had a whip which he used to drive out the sheep and oxen which would not have being something that looked violent to onlookers but fairly common to anyone who grew up around farm animals. Even though his actions were strong and would have created a stir there is no indication that he at any point lost control. The whole story seems to have being consistent with his character as seeing elsewhere in the gospels. "But I notice that Our Lord, while stressing the terror of hell with unsparing severity usually emphasizes the idea not of duration but of finality. Consignment to the destroying fire is usually treated as the end of the story—not as the beginning of a new story. That the lost soul is eternally fixed in its diabolical attitude we cannot doubt: but whether this eternal fixity implies endless duration—or duration at all—we cannot say” – CS Lewis in his book the Problem of evil pg 126-127. "Christians have professed appalling theologies which made God into a sadistic monster. ... Hell is not eternal torment, but it is the final and irrevocable choosing of that which is opposed to God so completely and so absolutely that the only end is total non-being” - The Church of England's Doctrine Commission - February 1995. Note - I am revisiting and updating this post today (13/05/14) to add it to a synchro-blog and because my studies over the past few months have shed a little more light into the topic of hell. This was originally part 4 of a 5 part series on hell, you can read the parts on false assumptions that we have about hell, Gehenna, Universalism and the Traditional view of hell by clicking them in this sentence. The soul who sins shall die…, and Romans 2:7. So the focus here is on resurrection — to eternal life for the believer and to destruction for the unbeliever. Immortality therefore is the result of the redemption provided for us in Jesus (Romans 2:7; 1 Corinthians 15:53,54; 2 Timothy 1:10). I should also point out that conditionalists do not have a problem with the idea of punishment in hell before death (Mathew 16:27, Luke 12:47-48), it simply is not believed to be eternal in its' duration. As with the other 2 views on hell, Conditionalism has been supported by at least some in the church throughout history. Ignatius of Antioch (108 AD), Justin Martyr (165 AD), Irenaeus (202 AD) and Arnobius (330 AD) are among the early adherents. John Wesley may have had annihilationist leanings as well as C.S. Lewis who is quoted at the start of this article. Today John Stott, Edward Fudge and Greg Boyd are three popular teachers who held to this position and most surprisingly of all, Dr Preston Sprinkle, who was the researcher and co-author of Erasing Hell with Francis Chan shared in a 2 part podcast over at www.rethinkinghell.com that he is leaning strongly toward annihilationism these days as well. Malachi 4:1 - …and the day which is coming shall burn them up. Mathew 10:28 – Rather, fear him who is able to destroy both soul and body in hell. Mathew 7:13 - …broad is the way that leads to destruction. John 6:51 - …if anyone eats of this bread, he will live forever. Hebrews 10:27 - …and fiery indignation which will devour the adversaries. Hebrews 10:39 - But we are not of them who draw back unto perdition (Greek: destruction); but of them that believe to the saving of the soul. Revelation 21:4 – There shall be no more pain. For the former things have passed away. How can the saved live in blissful joy knowing that some of their loved ones are suffering in hell for eternity (Revelation 21:4)? How can Christ be all in all and reconciled to all things (Colossians 1:16-20) if people are separated from him and suffering in hell? If God will make all things new (Revelation 21:5), the most sensible thing to believe is that whoever has rejected Christ will be destroyed in the lake that burns with fire and brimstone beforehand (Revelation 21:8). The only other option is universalism which I just do not see any scriptural support for. While most bible verses point toward total destruction, there are a few scriptures that are not so easy to reconcile with annihilationism. To be more specific, there are two verses that are quite difficult to interpret within the annihilationist view. Revelation 20:10 - "And the devil, who deceived them, was thrown into the lake of burning sulfur, where the beast and the false prophet had been thrown. They will be tormented day and night forever and ever. There are however counter arguments stating that Revelation is a highly symbolic book and the word orders are affected by the chiastic structures of the author. The words of Revelation should also be understood within the Old Testament books it refers too (278 of the 404 verses in Revelation allude to Old Testament passages, compare Rev 20:10 to Ezekiel 38-39 for instance). Likewise, Revelations 14:11 seems to be a direct quote from Isaiah 34. But when one looks at Isaiah, we read of the destruction of the Edomites and verse 10 says of its desolation that "it will not be quenched night or day, its smoke will rise forever and ever...". The obvious thing to all of us is that the smoke that once literally burned Edom is no longer rising. The verse therefore should not be read literally which raises the argument of whether Revelation 14:11 should also be understood in the same way. Similarly, we read in Jude 7 speaks of how Sodom and Gomorrah serve as an example of those who suffer the punishment of eternal fire. Once again, Sodom and Gomorrah were completely burnt up and are now no longer literally burning. The language merely emphasizes eternal consequence rather than eternal torture. For me, the arguments are persuasive but I would stop short of being dogmatic on it. I now see annihilationism as the most plausible viewpoint of hell given in scripture. It certainly seems more just than eternal torment does when we consider that our days on earth are so short. Nevertheless, there is enough seemingly contradictory verses supporting the traditional view in the bible that I will remain open to that possibility. Which I am fine with, even though I will certainly be anathema'd by some for admitting doubt over eternal torment as the best interpretation of scripture, in fact, since this was originally posted, some have done just that. But if NT Wright, Brad Jersak and Francis Chan all admit that one cannot be dogmatic about hell based on what’s written in scripture, then I am happy to add my name to that list. This post is part of a Synchroblog on the topic of hell. Below is a list of the other bloggers who participated this month (May 2014). Go read what they have to say on the topic of hell. Michael Donahoe - Hell Yes…or No? Linda - If you died today, where would you go? Although it has a long history within the church, Universal reconcilliation is a viewpoint that was relatively unknown by most people just a decade ago. But in recent years it has experienced something of a revival due in most part to some of the emergent church leaders who have embraced it or at least certain forms of it. For those who do not know, the theory is that all people will eventually be saved, even those who rejected Christ in this lifetime. The most popular variation on this is that after death people still have the opportunity to accept Christ so maybe not everyone will eventually be saved but the door at least remains open for them. So hell is seeing more by Universalists as a sort of purgatory where the fire is refining and purifying people, burning away that which is unfit for heaven. Despite its minority status, the Universalist thread has existed throughout Christian history. Origen (185-254AD) and Clement of Alexandra (150-215AD) were both early advocates. Gregory of Nyssa (335-390) who was called the "father of fathers" is quoted in his book Sermo Catecheticus Magnus saying, "The annihilation of evil, the restitution of all things, and the final restoration of evil men and evil spirits to the blessedness of union with God, so that He may be 'all in all,' embracing all things endowed with sense and reason...". More recent examples would be include Isaac of Ninevah in the 7th Century, William Law and John Murray in the 18th century. Here are some of the texts used by Universalists to support their view. Colossians 1:19-20 For it pleased the Father that in Him all the fullness should dwell, and by Him to reconcile all things to Himself, by Him, whether things on earth or things in heaven, having made peace through the blood of His cross. John 12:47 And if anyone hears My words and does not believe, I do not judge him; for I did not come to judge the world but to save the world. At a glance these scriptures may surprise you, but in the context of what the bible says as a whole on the topic they do not seem to hold much weight. Consider John 12:48 which follows the John 12:47 verse posted above. John 12:48 ...He who rejects Me, and does not receive My words, has that which judges him—the word that I have spoken will judge him in the last day. And I am in total agreement with Colossians regarding God having reconciled everything to himself. Yet in 2 Corinthians 5:20 we see that we still need to reconcile with God from our side. There are also some interesting verses in Jeremiah to consider. In chapter 31:40 there is a prophesy that Gehenna will one day be restored and be holy to the Lord. The chapter (from verse 31) is undoubtedly referring to a future period when the new covenant is already instituted. Under the Rabbinic interpretation of Gehenna discussed in the previous post that may lead people to think that God will cleanse people in hell. Probably the biggest reason Universalists give for believing in Universal reconcilliation is that God is love and therefore the thought of eternal judgment (annihilationism) or eternal torment (infernalism) seems to be totally against Gods character. This does appeal to our logic but it has no scriptural support. Scripture is very clear about judgment in the afterlife with a sense of finality (2 Peter 2:6 9, Jude 7, Mathew 25:46, 2 Thes. 1:9). I would argue that the idea that God would force people into the Kingdom against their will contradicts love and the idea of free will as well. Something really interesting in all of this though is Jeremiah 7:31 and 19:5. Both verses contain rebukes against those who sacrificed their children in the fires of Gehenna, both verses go on to say that the idea of building a place like that for that purpose has never even entered into Gods mind or heart. There are certainly scriptures that refer even to the lost as children of God (Acts 17:28). Isn't this exactly what we believe God does in our hellology (I’m coining that word right now)? Maybe there is something that we are missing which more adequately explains judgment without making God look like a torturer? Maybe hell is a place God is seeking to warn us about rather than throw us into? Certainly he wants to give us life but outside of him there is none. Gehenna, a word is worth 2 pictures. I originally intended to write a 4 part blog on hell and what we believe about it. After I started putting down some thoughts on the different viewpoints though I realized that I could not adequately explain them without first doing a piece on Gehenna. The more I studied the word, the more I realized that it is a loaded term and that the different parties involved were all interpreting it through different lenses. To illustrate this, take the word “church” for example. In modern times we have associated it with a Christian place of worship. A church is a pointy building with a cross on the wall. Just ask someone where they go to church and they will know exactly what you mean. Yet the word ‘ekklesia’ in scripture originally meant a “gathering of those summoned” and had a judicial meaning attached to it (see Acts 19 where it is used for non believers). Christ’s Church to the early believers was understood as a gathering of his body with clear Kingdom objectives attached to it. So today when I hear the word church and Johnny Baptist hears it we may have 2 totally different things in mind depending on mine and Johnny’s understanding or interpretation of the word. This is very much true of the word Gehenna as well and this is why we need to look at the two traditions associated with it. In the Old Testament the word Gehenna, which usually gets translated as hell in the New Testament, referred to a literal place. It was a valley South of Jerusalem just below Mount Zion. It was associated in the Old Testament with child sacrifices to the pagan god Molech/Baal (Jer 7:28-31, 19:5-6, 32:35, 2 Ch 28:3). This was met with judgement from God which included a prophecy that Jerusalem itself would be conquered and laid desolate (see Jeremiah chapter 19:2-14). Later on during the intertestamental period (time between the Old and New Testament writings), Hellenistic culture, and Plato in particular, began to have a huge influence on Judaism and their concepts of the afterlife. It was during this time that Gehenna became a metonymy for “hell”. Writings appeared that depicted Gehenna as a place of punishment in the afterlife. For some odd reason, the longest that one could go there was a period of 12 months after which they were released to be burnt and destroyed (with the exception of 5 people who would spend eternity there). Different intertestamental books later developed and supported all kinds of views on the afterlife. Annihilation is supported in 4 Ezra 7:61, 1 Enoch 48:9, 99:12 and eternal torment in Judith 36 and 1 Enoch 27:1-3, 103:8. In addition to this, the Greek philosophers Socrates, Plato and Aristotle all taught that the soul was immortal which was picked up by the Pharisees as well (Josephus Wars 2.8.14) which the eternal torment group embraced and the annihilationalists rejected. Fast forward to the New Testament, and we see Jesus uses the term several times (11 if I remember correctly). But exactly what Jesus meant when he spoke of Gehenna is the part people seem to disagree on. Did he use it in the Rabbinic tradition which was popular in his day or did he use the Gehenna of the Old Testament as an example and a warning to his listeners? Using the Rabbinic interpretation people tend to land on the eternal torment view reasoning that the soul is immortal and that Jesus is warning us specifically of events in the afterlife and the nature thereof. People who believe that Jesus spoke from the Jeremiah tradition as some call it normally associate the NT Gehenna scriptures with warnings of Jerusalem and the temples imminent destruction by Rome which happened a few years later. This seems plausible when we consider the links between scriptures like Isaiah 66:24 and Mark 9:48. But it does not hurt to be 2-dimensional in our reading either as pretty much everyone is in agreement that it is clear from other scriptures that there is a judgment in the afterlife (Mathew 25:32-46). Hopefully this lays the foundation for discussing the different views in the next posts. See Part 1 in this series here. 6.66 False assumptions that we have about hell. Ever since Rob Bell released his controversial book “Love Wins”, hell has been a hot topic. It is something that I have refrained from writing about until now for 2 main reasons, firstly, because I wanted to get all my ducks in a row before publicly talking about it and then secondly, just asking questions about hell can cause quite a stir and result in all sorts of false assumptions being made by others. I must confess that I am still nowhere near satisfying my first reason for initially abstaining, it seems that the longer I look into the subject, the more questions that I have that I have not been able to answer. The fact that we translate so many different Greek and Hebrew words simply with “hell” or “grave” hardly helps things either. Nevertheless, putting my thoughts out on paper always helps me sort things out in my mind and it also gives you guys a chance to get involved in the discussion too. So despite my lack of qualification to write about this, here are a few points I think we need to reconsider about hell. Assumption # 1 Satan rules in hell. I don’t know where this idea started, Hollywood certainly hasn't helped and neither have all the stories by people that have claimed to have gone there and come back. Nowhere in scripture do we read of Satan sitting on his fiery throne while demons torture people day and night. Quite the opposite is true; Mathew 25:41 says hell was prepared for the devil and his angels. Jude 6 speaks of fallen angels kept in chains under darkness. Revelation 20 speaks of Satan being thrown into a bottomless pit for a thousand years; presumably this pit is a part of hell. The image of demons sadistically torturing people in hell and enjoying themselves is wrong no question about it, they definitely are not looking forward to any part of hell. Assumption # 2 Fear of hell is a great evangelism tool. When I was 16 I watched a production that was aimed at frightening people into heaven. Like hundreds of other people, I stuck my hand up that night and said the sinners prayer. I did not meet Jesus until 5 years later because on that night I was looking for fire insurance rather than a new King, Savior, way of living or nature. Fear is a great tool for controlling people and their actions; it can even be helpful in protecting ourselves and others. But love changes the inner man while fear merely altars ones behavior. Christ is the only card Christians should be willing to play regarding evangelism. Assumption # 3 There is historically within the church an orthodox view of hell. There is no doubt that the main view within the Western church today is that hell is a place of eternal conscious torment. The early church though actually seems to have been quite open to Annihilationism and certain forms of Universalism as well. Origen and Gregory of Nyssa are 2 of the major names that believed in the possibility of ultimate reconciliation. If you do not know who Gregory was, he was basically the head honcho at the council of Constantinople (381AD) where the church got together to establish what was heretical and what was orthodox. Not everyone on that council agreed with his view on hell, but it was not seeing as a major issue within the early church. It was only with Augustine, who was a strong believer in eternal conscious torment, that the eternal torment view really took hold of the Western church. To this day the Eastern Orthodox Church is still very open to differing opinions on the subject. I was quite surprised to learn that many of those early believers who decided on the canon of scripture had very different ideas on what hell was, it’s really a fascinating thing to look into if you enjoy history. There is no doubt that what we believe about hell is important for it affects both how we view God and how we proclaim the gospel; which in turn affects how non believers perceive God to be. Being wrong can be dangerous. But differing views on hell are not the measure of ones identity as a true believer or not. I found this pic on Facebook, unfortunately this is how many believers and non believers understand the gospel. Assumption # 4 Hell is eternal. Assumption # 5 Our confidence that our interpretation is correct. Most of us, myself included, have not spent enough time studying this topic, I can’t speak ancient Greek, Hebrew or Aramaic, I do not know too much about these ancient cultures and the surroundings of those peoples (think about that Lake of Fire reference made earlier) and I have relied on other people’s views on exactly which verses are to be interpreted as metaphorical or literal. Assumption # 6. God would not let anyone go to such a horrible place, even by their own choice. There are some who are unwilling to believe in hell simply because of who God is, a God whose very essence is love. It may indeed be hard to reconcile the two, but it is even harder to ignore or reinterpret so many verses which speak on the topic. Trying to balance Gods love with things like hell, judgment, justice etc is always problematic. Seeing God as love and having everything else pour out of that revelation normally makes things easier to understand though, we know that God desires that none would perish (2 Peter 3:9), yet we also see some tough language in places like Mathew 7:23, 25:41 and Revelation 20:14. We need to figure out how these sorts of things form part of the same story rather than putting them in tension with one another. Assumption # 6.66 Scripture is clear about hell. I know many would argue this one with me; the bible does indeed have a lot to say about hell. And I do think that there is plenty in scripture to definitively affirm a place of punishment for some after death. There is though still a large amount of mystery that surrounds both its existence and purpose. The fact that we have 3 main views on hell within Christianity, all supported by several proof texts, and then several variations within those 3 viewpoints affirms this. I do believe though that scripture, when read as one complete story, does shed much light on it. Nevertheless, only one of the 3 views can be right so 2 of these 3 groups have to be wrong. This image is from the documentary Hellbound? In John Pipers famous “Farewell Rob Bell” tweet, we see just how important this issue is to the church. For some like Piper, it threatens their very faith. For cultural Christians, the idea of Rob Bell’s message may be the excuse they were looking for to play with immorality without fear of severe consequence. I hope that this article illustrates the need that the church has to reconsider what it believes and teaches, even if it is only to reinforce what it already holds to. Why we believe something is often more important than what we believe. Next time I will get into one of the three views on hell in more detail. Happy 2014!